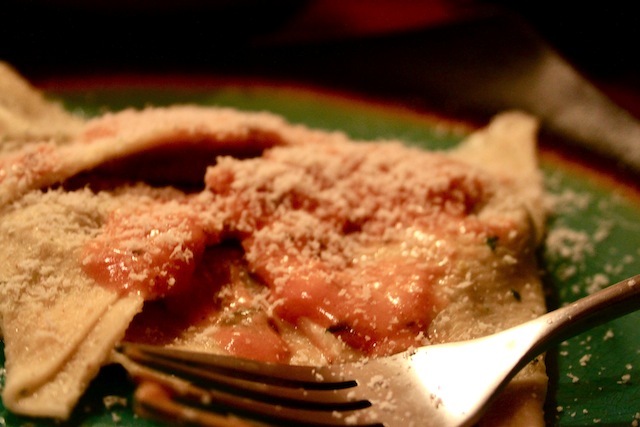 Living Well on Yoga Stretches and a $5 Bill: Sweet Potato & Spinach Ravioli – Eat Me. Drink Me. Finely chop onion and garlic and sauté in a healthy amount of olive oil until the onions are translucent. Add washed spinach. When the spinach is completely tender, scrape the mixture into a food processor and blend until smooth; add sweet potato and ricotta and puree again. Season with nutmeg, salt, and pepper. 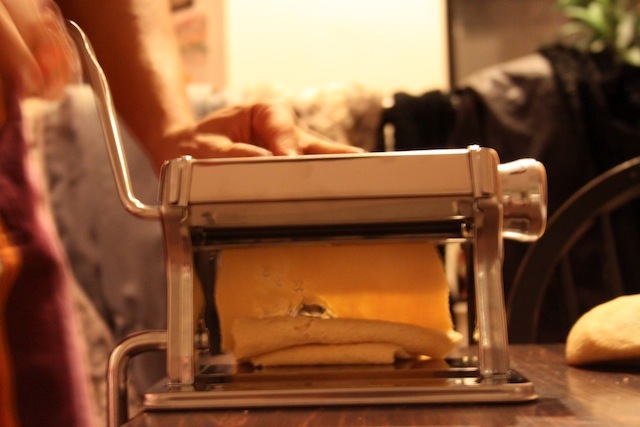 With a pasta machine, rip off chunks of dough and feed it through the machine, starting at the largest setting and folding the dough in half before dropping the setting each run-through. 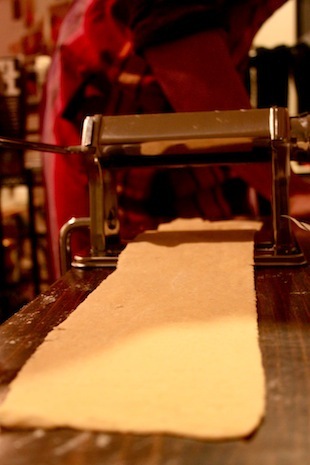 If you don’t have a pasta machine, you’ll need to roll out your pasta dough by hand. Separate the dough into four equal pieces. Lightly flour a large, clean surface and roll out the dough in a circular pattern with a rolling pin. 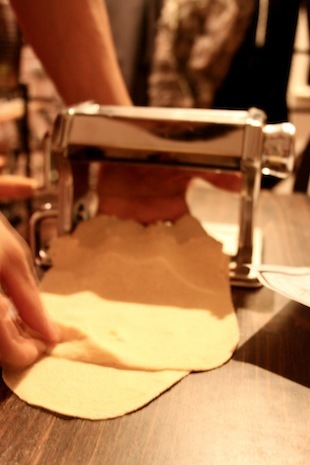 The finished dough should be extremely thin – you should be able to see your hand through it. 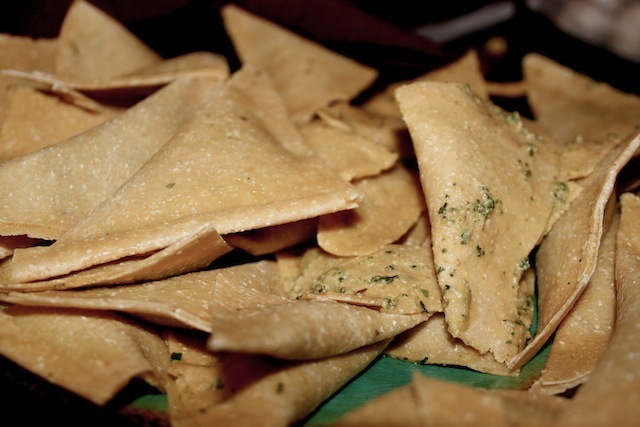 To make the ravioli, cut the pasta strips into squares and drop about a teaspoonful of filling in the center. 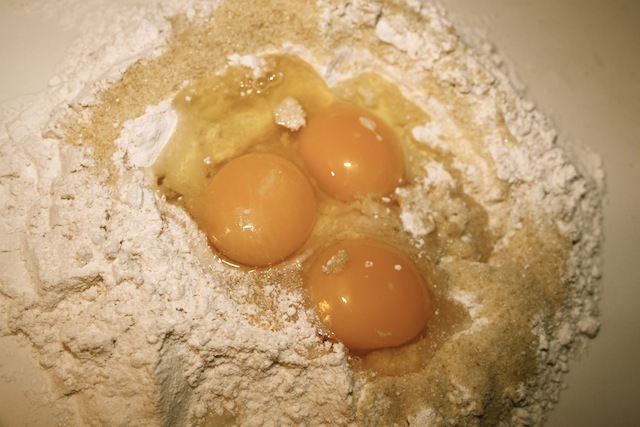 Brush the edges of the pasta with a beaten egg and then tightly squeeze the edges shut. Boil the ravioli in salted water for four minutes, or until done. Fresh pasta cooks much faster than dried pasta, so make sure to keep an eye on it. A watched pot might never boil, but unwatched pasta turns to mush. This ravioli is deliciously sweet and savory, and pairs well with most tomato or white sauces. Either way, the sauce should be simple, because there’s so much flavor in the ravioli themselves. I made a basic white sauce deepened with tomato paste: Melt two tablespoons butter in a skillet on low heat; when the butter is melted, add a little bit of milk, making sure not to scald it. Add a few tablespoons of flour and whisk constantly. Add a teaspoon of tomato paste and a healthy pinch each of salt, pepper, and nutmeg. Continue to whisk, slowly adding milk until the sauce reaches a silky consistency. Finish ravioli with sauce and freshly grated parmesan. This looks absolutely delicious! I’m craving sweet potato ravioli now. Grandma and Grandpa Wiese and Aunt Dorothy are surely smiling from ear to ear as this little girl makes ravaioli – unlike the kind they made back in Collinsville so long ago with cooked wild rabbit and squirrel meats.